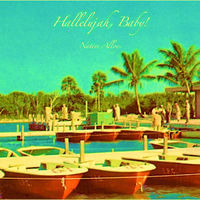 Native Alloys have released two albums: “Naked Light” and “Hallelujah, Baby!” The debut “Naked Light” was a 6-song EP released in 2015. The sophomore effort “Hallelujah, Baby!” was released in Summer 2018. Naked Light was a calculated, exacting romp. “Hallelujah, Baby!” was recorded live in a remote lakeside chalet-turned-studio over an intense 4-day session. The sessions were described by band members as “moody” and “dark” but the end product turned out up-beat and exciting, more so then the band thought.